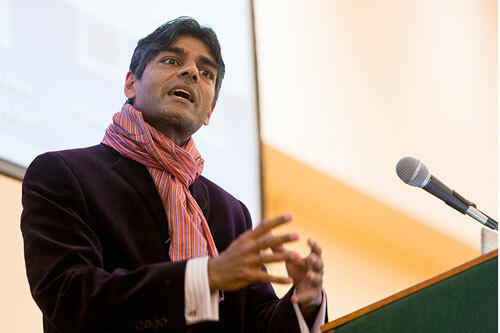 Binghamton University celebrated research and creative activities during its fourth-annual Research Days, held April 22-24. 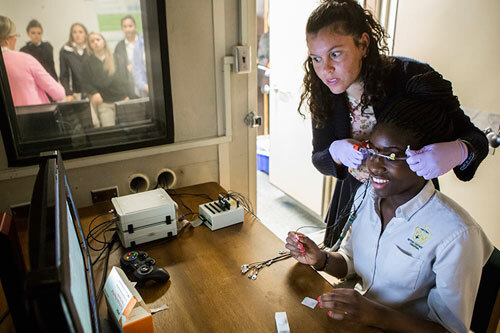 Ann Marie Wilhelm, 15, a sophomore at Seton Catholic Central, has her brain waves measured with assistance from Binghamton University graduate student Mavi Ruiz-Blondet. 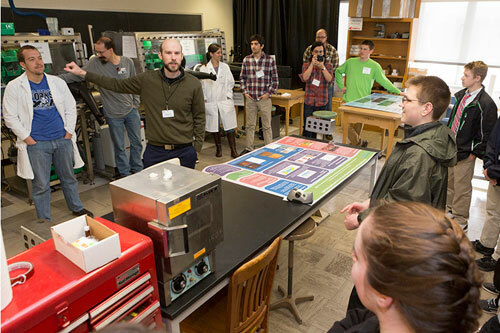 Wilhelm and her classmates visited Sarah Laszlo’s neuroscience lab during Binghamton University Research Days. 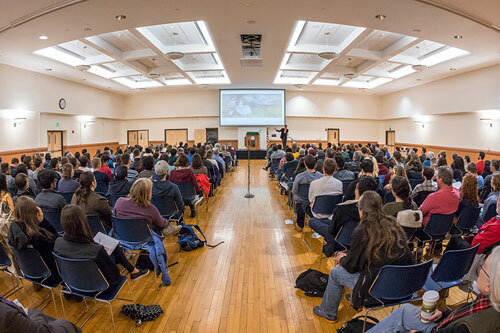 Jeffrey Mativetsky, assistant professor of physics, welcomes students to his laboratory in Science II during Binghamton University Research Days. 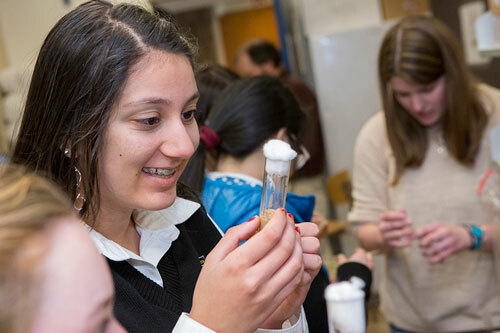 Students from Seton Catholic Central visit the lab of Binghamton University biologist Anthony Fiumera during Research Days. 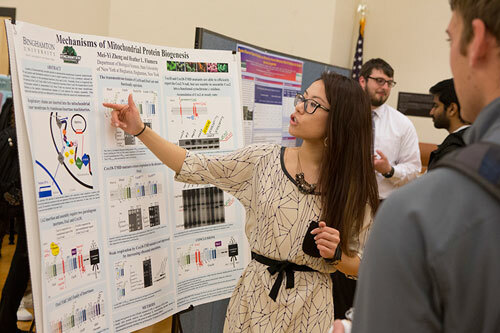 Biology graduate student Mei-Yi Zheng presents her research during the Binghamton University Research Days poster session, held April 24, 2015, in the Mandela Room. 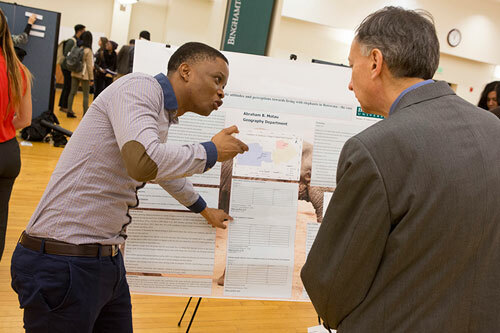 Geography graduate student Abraham Motau discusses his research with Bahgat Sammakia, vice president for research, during the Binghamton University Research Days poster session. 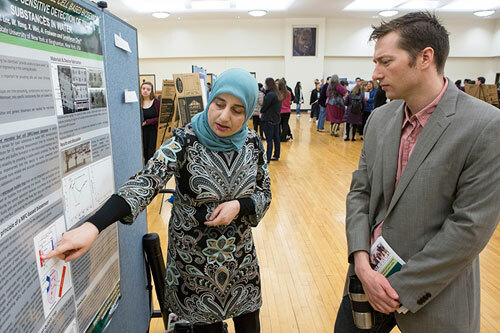 Arwa Fraiwan, a graduate student in mechanical engineering, speaks about her research related to biological fuel cells during the Binghamton University Research Days poster session.